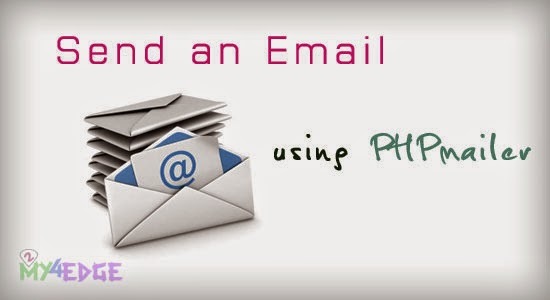 how to send a Email using phpmailer, it is a simple one. here we have class.phpmailer.php file, that make send mail operation very simple and calm. here we just have to do some simple steps to do this method. check this by the live demo. this phpmailer class file makes to attach a file with a mail. here we are going to see about how the function is running and how the mail will be sent. for the send mail concept we need some files there are. those above four file are important in this program. in a index file we have to make a form to give a input to make an operation. in a send-mail.php file we have to make the subject, address, body of the content, etc and the main.php file is to attach. class.phpmailer.php is a php class file. we must have to attach that in send-mail.php page. in a main.php will be a body content of the mail. that's too attached in send-mail.php file. i hope this is really helpful to you. thank you. Hi arun Nice post i am not attached anything but its display your image. arun it's showing 1Mailer Error: Could not instantiate mail function. Yes, it will in localhost, upload to server and check it. how to solved this error --->Could not instantiate mail function... Code already on server. Could not instantiate mail function... Code already on server. How to solve this problem! can it send mails to inbox?